Setting goals for yourself is a necessary process in achieving career success. It is only through meaningful and motivating goal setting that you can have targets to aim in your career and see progression. Setting goals for yourself is about personal development. For self-development to happen you must realize the benefits and be motivated enough to do it. Long-term sustainable personal development is all self-directed. 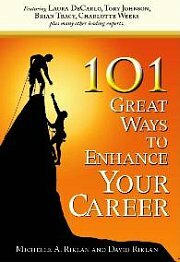 If you are as described, then you are on the correct path to achieving meaningful goals for career success. Do not take feedback personally and be defensive when managers and colleagues give you feedback. Feedback is good as they provide an avenue to self-reflect and realize the need to change. An important part newbies pursuing career success ignore is that setting goals for yourself is only part of a bigger process. Setting goals is part of the development process. Why is it important to understand this? When you have the bigger picture, then what you learn about SMART goals and meaningful, motivating objectives begin to make sense. That makes setting goals for yourself even more fun. For development to begin, you must realize the need to change. This is important because you can set all the goals you want, but if there is no such realization, then your goals wouldn’t be meaningful. You would be setting goals for the sake of doing it. This is pretty self-explanatory. You must make a conscious decision to change - while recognizing and deciding that both affect the cognitive level (ie. awareness and commitment). Only when there is commitment will setting personal goals be meaningful to you. This is where your actual setting goal for yourself happens. The plan itself. Remember your goals has to be SMART. They have to be meaningful and motivating. It is not good enough to have a plan. There is a tendency for newbies pursuing career success to treat plans like New Year resolutions - to MAKE but not DO the plans. Act upon your plans. This is why it is important to make your goals meaningful and motivating. This is also why there must be realization and commitment. Once these elements come together there is no stopping you in attaining your goals and achieving success. Remember to evaluate the results. Quite naturally, once you act upon your plan and evaluate it – change will happen. You begin to see the results of setting goals for yourself. Consistent pursuit and implementation of your plan will result in achievement. You reach your goals and as a consequence your self-esteem rises. When this happens you are ready to assume more responsibilities and set more challenging goals for yourself. Constant improved performance will result. I hope I have demonstrated to you why it is important to understand the bigger picture of setting goals for yourself. It is part of a personal development process. When you understand this, your chances of success are higher. Setting goals is necessary to plan and measure your success. Learn the basics of goal setting. Setting goals for yourself is a prerequisite to achieve career success. You need to set personal goals that are meaningful and motivating for yourself.